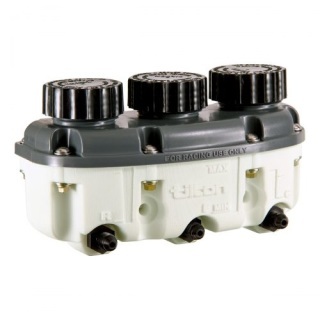 This extra large reservoir adds capacity to the dual brake and clutch master cylinders. Great item when installing front disc brakes and almost mandatory when installing rear disc brakes. Kit contains the reservoir. new plastic cap, gasket and retaining screws. A 8 oz remote mount fluid reservoir for the Morris Minor 1000. This kit is designed to add more fluid capacity to the system when the vehicle is equipped with disc or drum brakes. 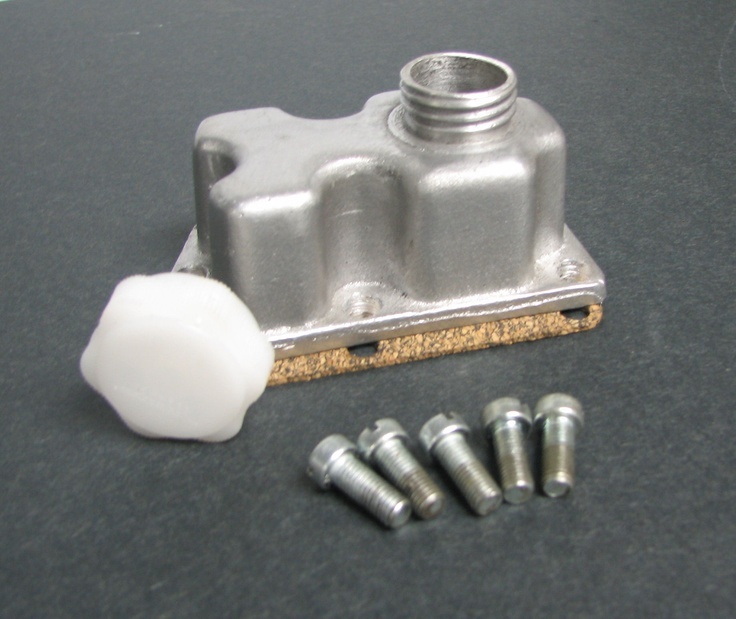 Makes filling the master cylinder easier while adding more fluid capacity. Item should have been installed at the factory. 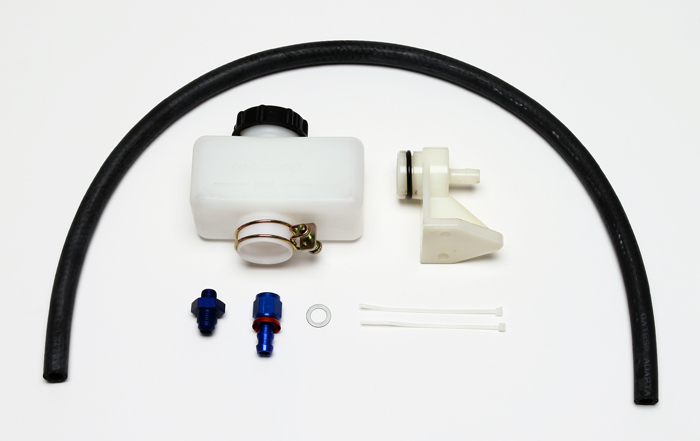 Kit is complete with all necessary mounting hardware, non vented fluid cap for the master cylinder, 1m of specialty hose for brake fluid use and fluid reservoir with mounting clamp. Non Vented Cap is also available separately. Re-engineered and made to the highest modern standards, yet with great attention to detail that keeps it looking period-correct and authentic looking. These are the absolute best reproductions ever made of the Girling reservoirs. Much time was put into researching the correct decals for these reservoirs, and these reproductions were designed to be absolutely perfect. Even the caps are correct - faceted and embossed where applicable. Not only was great care taken to get the visual details right, but modern engineering makes this piece better than original. The black paint is resistant to all brake fluids. 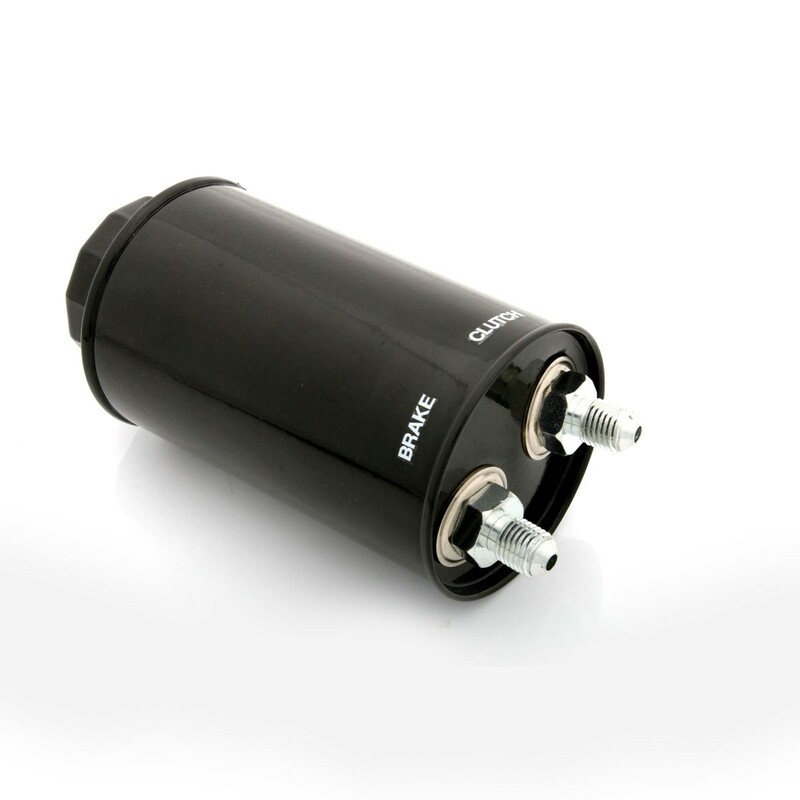 The cap is supplied with an improved ""no splash"" reservoir seal which limits the exposure of the brake fluid to atmospheric moisture while preventing fluid from splashing against the underside of the cap. The vent holes in the inner and outer cap surface are offset, as they were originally. The vent design and the seal make it impossible for fluid to splash against the underside of the hood. The original copper washers were prone to leak because the bottom of the can is very thin, and they cannot get an adequate ""crush"". This reproduction piece has special stainless steel washers that have integral DuPont Viton O-rings, with one on the inside and one on the outside to seal the outlet fittings. 10.7 oz. 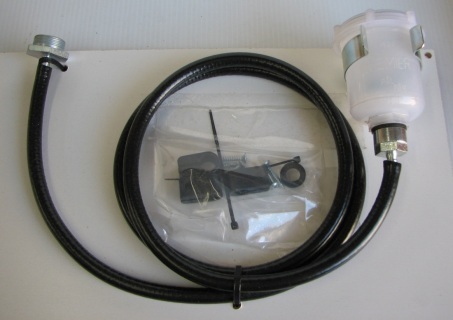 remote reservoir kit for Compact Master Cylinders. Contains aluminum fittings to adapt 7/16-20 master cylinder inlet to 3/8” ID hose. Kit is complete with all necessary mounting hardware, reservoir with cap, bracket for reservoir mount and 30” of specialty hose designed for brake fluid use. A shorter version of the plastic reservoir, this 3-chamber low profile plastic reservoir is designed to fit in applications where space and/or height are limited.